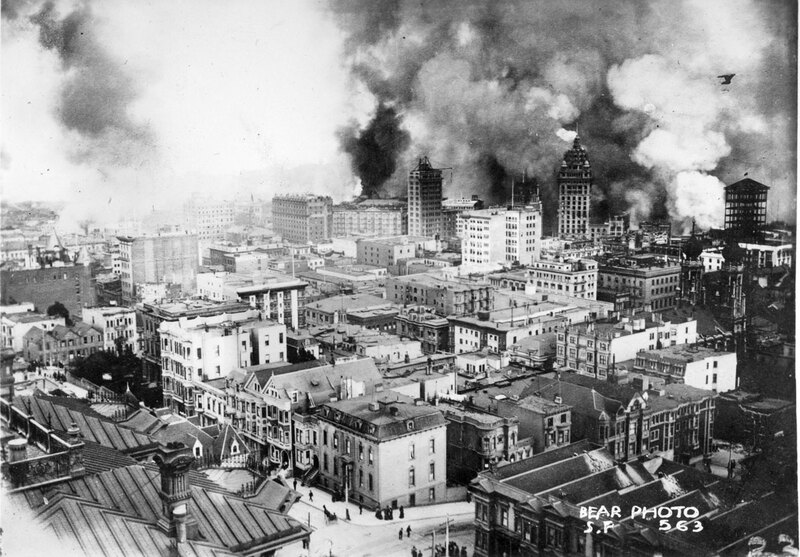 In the early morning of April 18, 1906, San Francisco residents were awakened by a powerful earthquake. The quake was pre-Richter, but modern estimates put the magnitude around 7 and a half to 8. It was felt from Oregon to Nevada, and left more than half of Bay City residents homeless. And then, the real trouble started. Ensuing fires ravaged San Fran for four days. You’re listening to a studio re-enactment made shortly after the fire by Prince’s Military Band. The recording was made to cylinder, and is exceedingly rare.